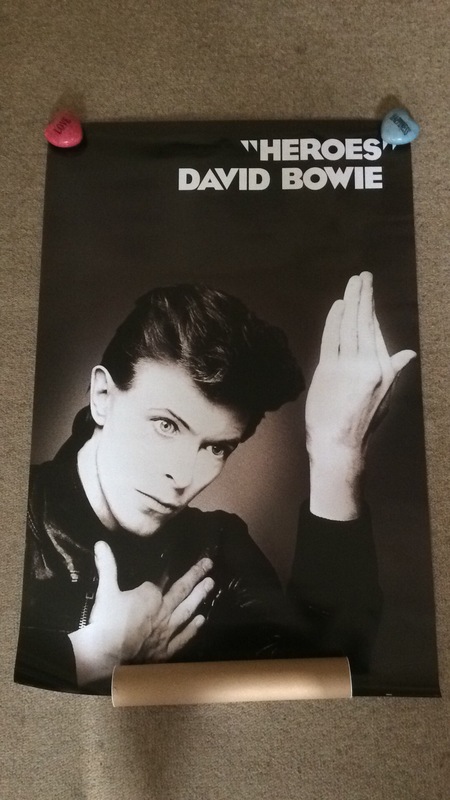 My wonderful friend, Gillian, sent me this most AMAZINGLY HUGE poster of Mr Bowie. OMG…it is AWESOME! I love it! Thank you, Gillian! This entry was posted in art, memorabilia, music, personal, photos and tagged david bowie, heroes, poster. Bookmark the permalink. ← Dying Together In Electric Dreams?